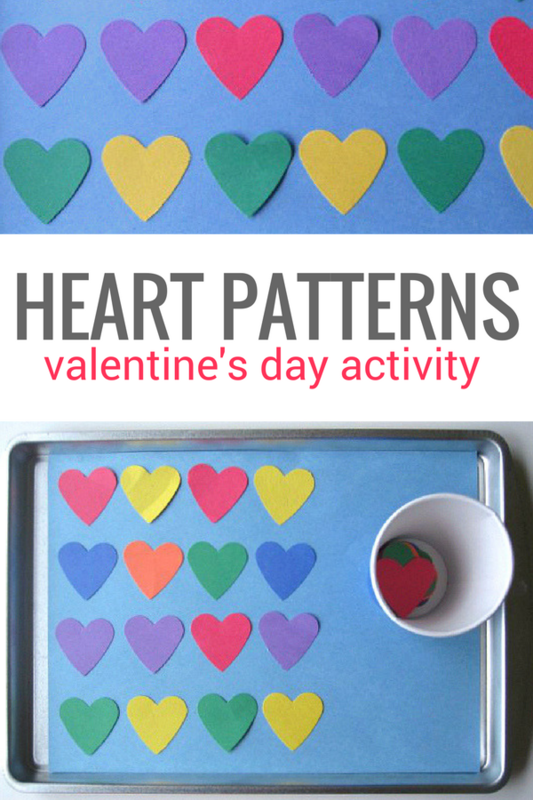 We love math and made this super easy patterning activity with a Valentine’s Day theme that could really be used any time of year with any shape. Patterning is an important math skill that will help them with much more sophisticated skills like multiplication as they develop. 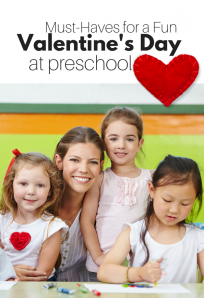 In early childhood development of skills are on a wide spectrum, which is one reason why free choice is so important. 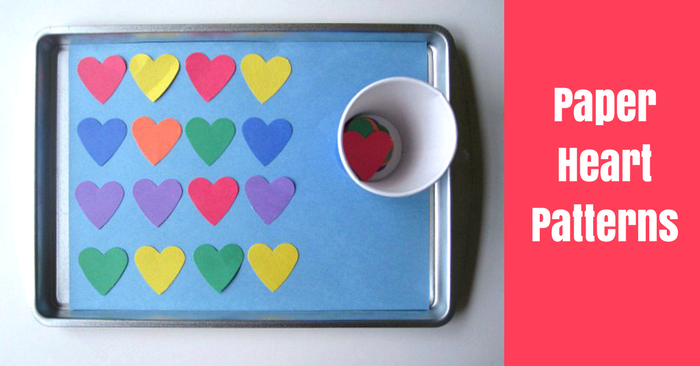 A few of your students may be ready for this activity at three but many won’t until 5, and some won’t develop this skill until later. 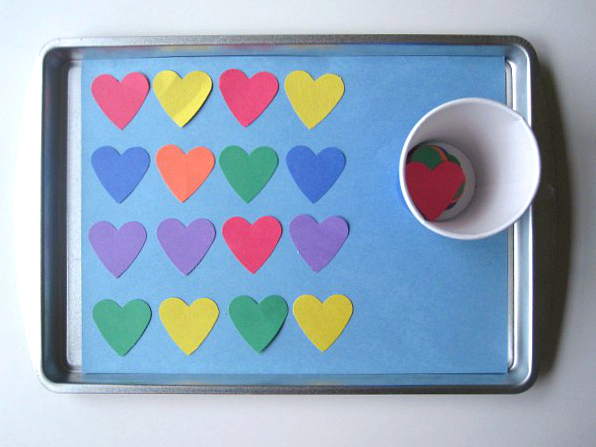 Activities like this at free choice allow children to naturally differentiate, some will complete patterns others may match the colors up by putting the same color heart on top of their match. Be ready to follow their lead when it comes to learning but don’t shy away from challenging your students either, just make sure that you are following where they are ready to go. Gather your materials. 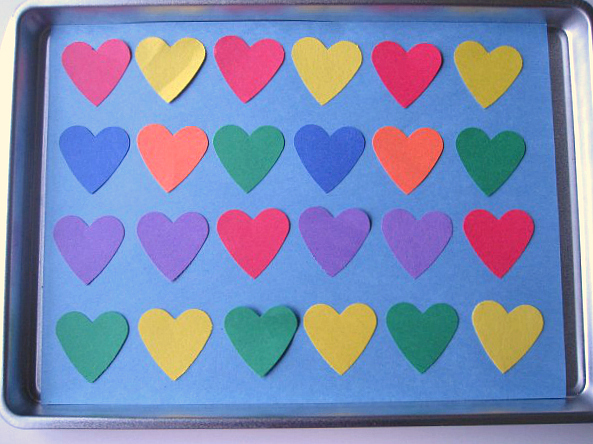 You will need your paper hearts, a cookie sheet ( check out the dollar store), some double stick tape, a paper cup and a sheet of construction paper. 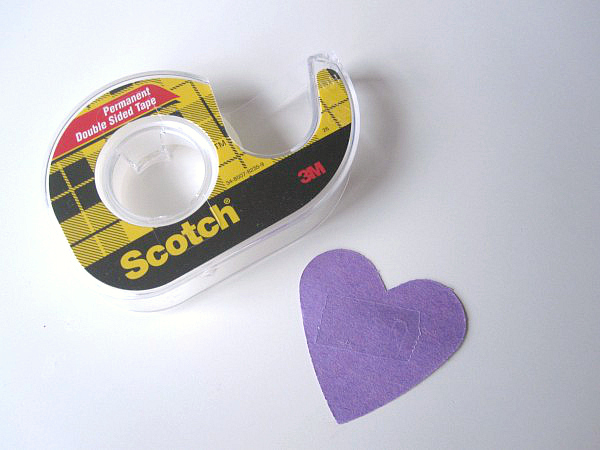 Start by taping the paper down on the cookie sheet and adding double stick tape to the hearts. Make some simple patterns. I like to start simple then slip a harder one or two in before getting easier again. Children should feel successful but challenged. If a child is new to patterning keep the patterns at an abab pattern until they understand the basics. Place the extra in a cup or dish. 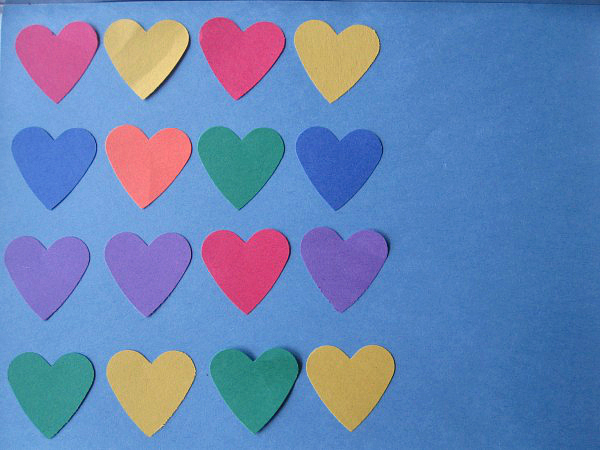 Making sure there are the correct hearts to finish the pattern. 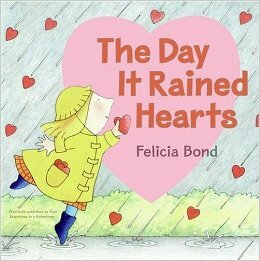 by Felicia Bond is a sweet story that in my experience is a better bedtime story than circle time story especially for 4 and younger. 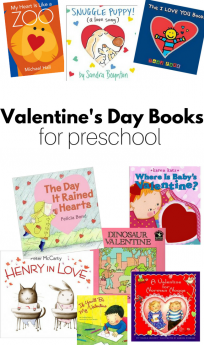 The story is moving and lovely, but in groups of children, it just doesn’t grab them the way it does when they are snuggled up with someone they love. 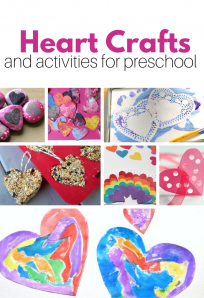 The story is about a little girl who collects hearts that fall from the clouds and makes incredibly touching gifts from them for special friends. The pace is just too slow for an active class that needs a hook, but perfect for bedtime when you want kids to be slowing down. 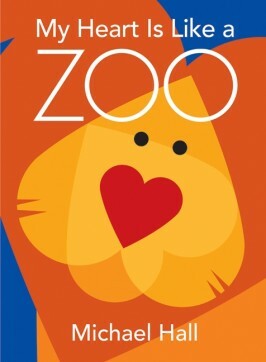 My Heart Is Like a Zoo by Michael Hall is a fun book filled with animals made from shapes, including hearts of course. This book is a wonderful launch pad to start considering the world around us and how shapes work together to create more shapes!